Bartlett Lake is about to be a hot spot for flathead catfish as they move in shallow and begin to roam and feed during their spawn. Wilcoxson, who 5 years ago caught the heaviest recorded fish in the history of Arizona (above), a 76.52-pound flathead from Bartlett Lake, said the “smaller” 15-pound flatheads have been moving in shallow at Bartlett. Bartlett will turn on for big flatheads just before another flathead gold mine, Lake Pleasant, because it is more shallow (and heats up more quickly) than Pleasant. Flatheads at Bartlett usually spawn in about 35 feet of water beginning in early April. Roosevelt Lake harbors some big flatheads, too. And don’t forget the Colorado River, which surely holds some state records, especially in the Imperial Division. Wilcoxson said he’s heard flathead catfishing has been somewhat slow on the Colorado River. That will change. 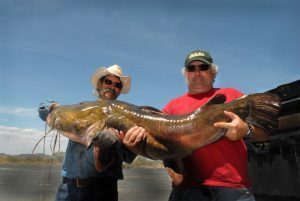 The previous flathead catfish state record was a 74-pound flathead catfish caught in 1988 out of the Colorado River by Walter Wilson of Bard, Calif.
See our flathead catfish survey from last summer in the Palo Verde and Cibola Divisions. Look for the bigger flatheads to move in shallow during the next few weeks. Good baits for flathead catfish are live carp and bluegill. Anglers can catch both carp and bluegill for bait using corn. 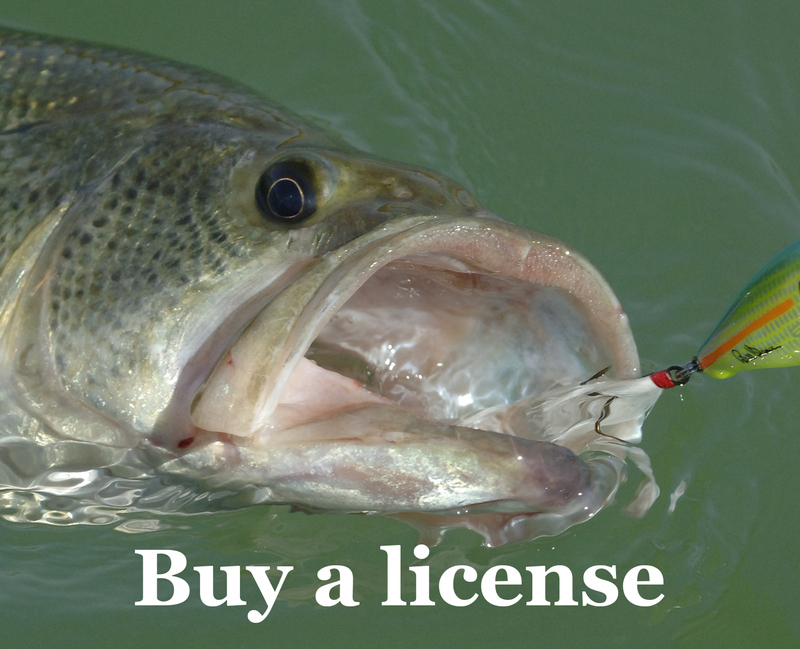 Be sure to see the Fishing Regulations on legal use of live bait (pg. 10-11).